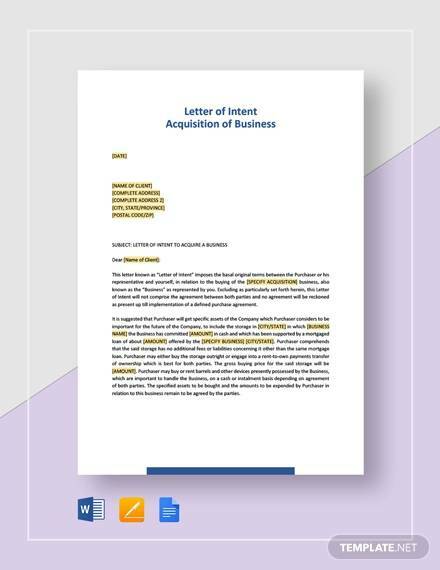 A Letter of Intent (LOI) is a document presented by one party to another that outlines one or more agreements between them before such agreements are finalized. 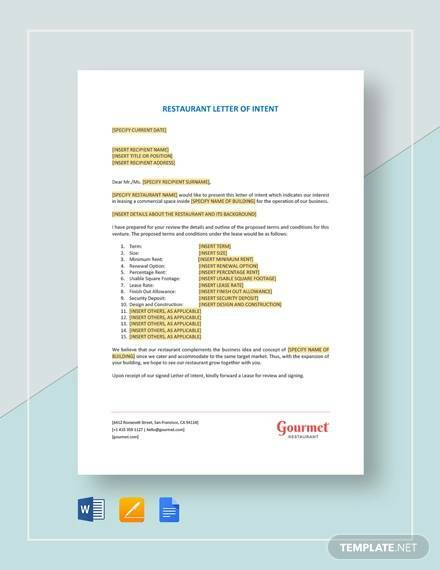 This is usually a short and written contract that’s non-binding in nature but can contain provisions that are legally binding such as those governed by existing laws and laws on exclusivity. 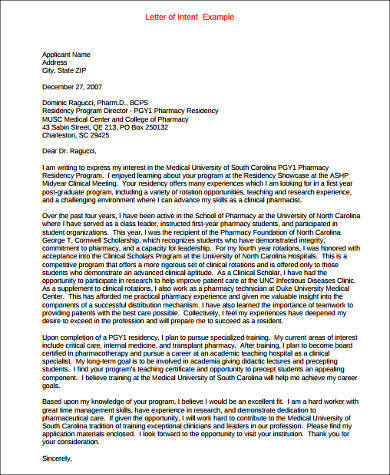 Our downloadable Sample Letters cover a wide array of LOI propositions ranging from business uses to academic letters of intent needed to get into a graduate program, to intent for internship for when apprenticeship is required as prerequisite for credentials before graduation. These are all available for download and print and can be edited or modified to fit the user’s purpose. These are available in both Word Doc and PDF files. 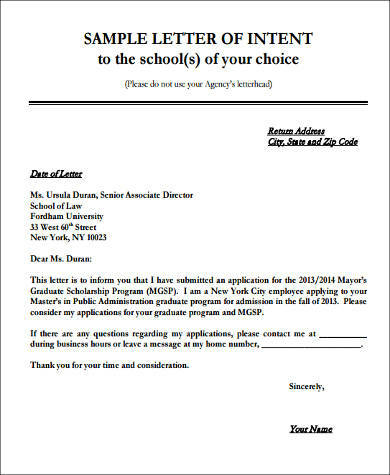 In institutes of higher learning, usually in the academe where admission to college or the graduate school is closely deliberated before acceptance, a letter of intent is traditionally a part of the application process. 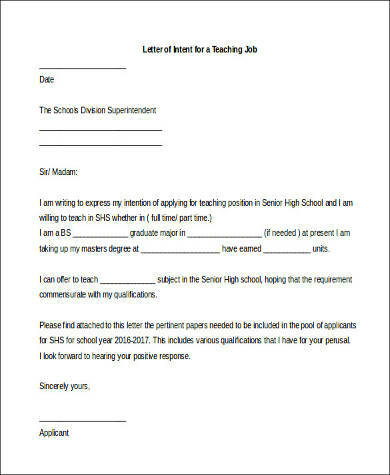 In an academic letter of intent, you are to state your purpose in what is called an application essay that gives your intent and explains why you are fit for the course or program. You are to state your purpose in a detailed manner with specifics on why you deserve to be accepted. 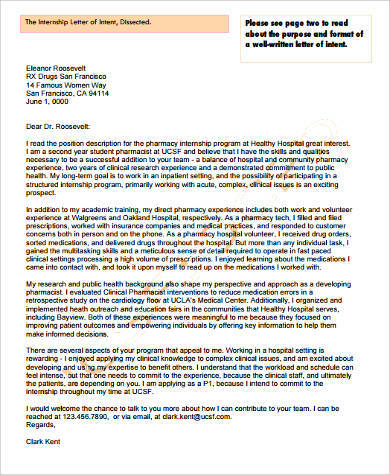 Our downloadable Internship Letter of Intent Samples and Letters of Intent For University give you excellent examples on how an academic application essay should be written. 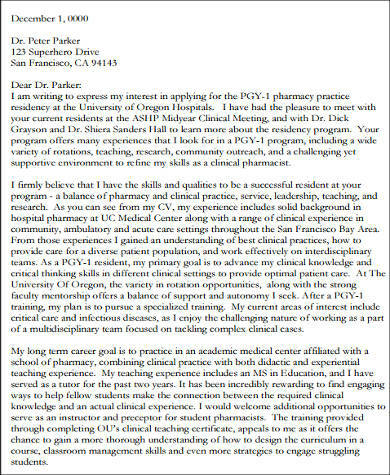 Specific details are given out to be used as guides on how your letter should be composed with the sole purpose of convincing admissions staff of your earnest intent to be accepted. The statement of purpose examples will help you craft the right amount of idea where you can pool together your merits to make you worthy of acceptance. 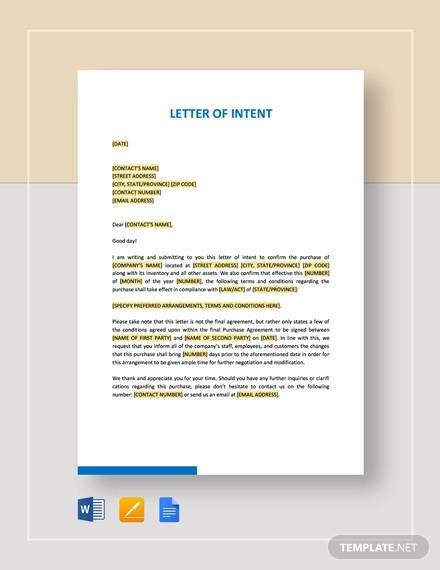 When it comes to business, for all its intents and purposes, a letter of intent can have both advantages and disadvantages. 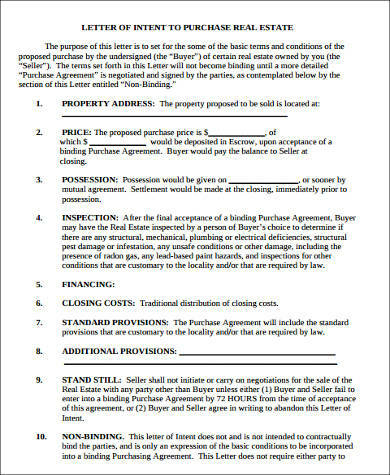 For example, a letter of intent may afford safeguards in case a deal agreed upon may fall apart during negotiations. 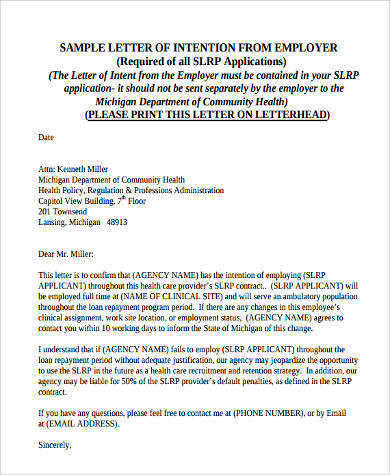 However, the letter of intent used may be submitted as evidence by one party and can be understood by the court of law as legally biding if it is written in detail suggesting it to be a formal contract. 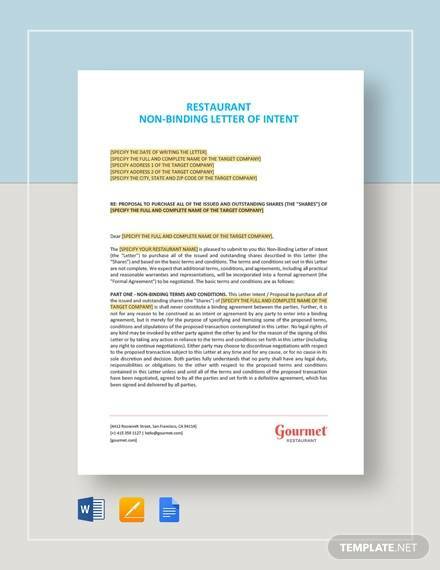 Some letters of intent also lack clear disclaimers, which can be used by one party against another to its advantage. 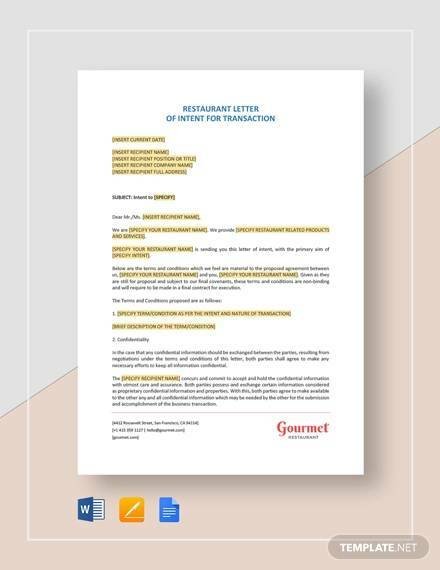 A memorandum of understanding should be clearly set and outlined in a letter of intent so that both parties may be aware of the implications should the agreement fall apart. parties may be tempted to reduce their amount of workable deal into an LOI and opportunities will be missed entirely. 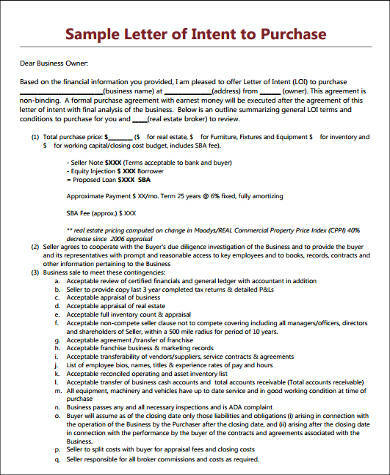 It’s thoroughly important to have a framework and agreement in an LOI with a prospect you can trust in order for the deal to work and results are established. 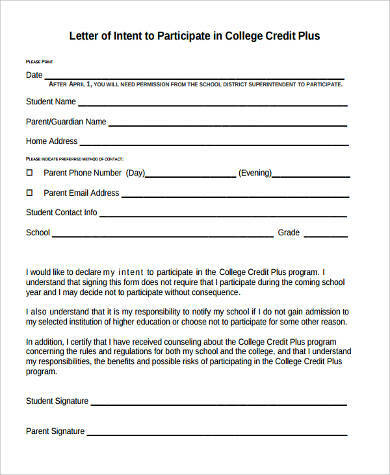 Lastly, we offer downloadable National Letter of Intent Samples for schools and athletes who commit to participating in the National Collegiate Athletic Association (NCAA) program of activities.